Are you a prisoner of love? 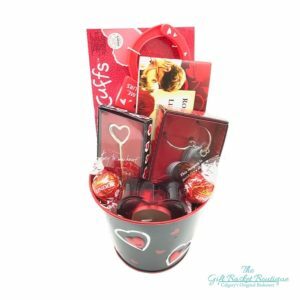 Show your sweet side with this gift for Valentine’s Day. 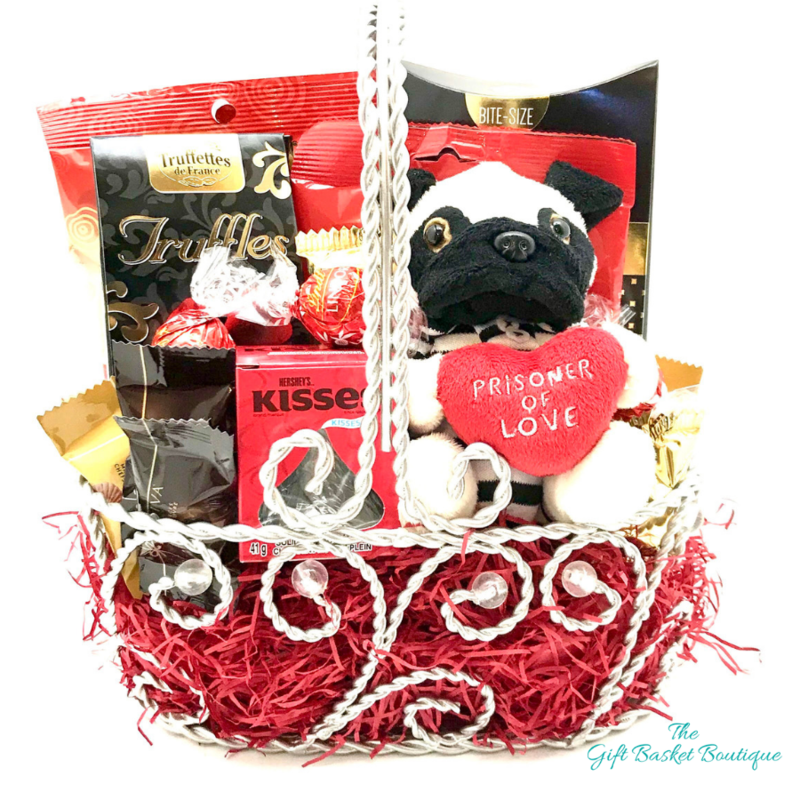 We’ve filled Prisoner of Love to the brim with chocolate gifts galore. Valentine’s Day just wouldn’t be the same without decadent chocolate. 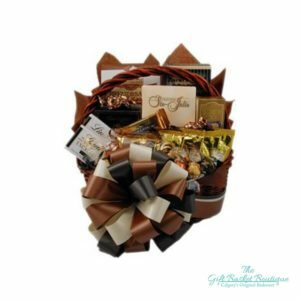 In this gift basket, we celebrate every chocolate lover’s favorites with Godiva, Lindt, and many more gourmet chocolates that are sure to satisfy any sweet tooth. Better yet, we’ve included something that won’t disappear after your sweet tooth strikes: An adorable plush. And before you ask… YES, we can add flowers to that. 😉 We’d never leave you without all Valentine’s day classics. 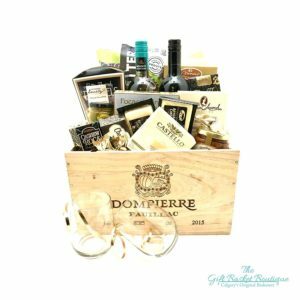 All gifts can be delivered through Calgary and surrounding areas same day if orders are placed by 11AM. 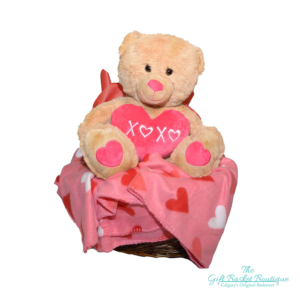 All of our gifts are completely customizable. We even do custom gift wrapping. From the drop-down, you can see our favorite gift basket add-ons. If you have something in mind that you don’t see listed on the site, call the store at 403-287-1505. We pride ourselves on personal baskets- so if we need to hunt down an item we will!